Recently, there have been some fantastic advancements in lenses for ICL treatment. Implantable Contact Lens (ICL) treatment is a safe and effective way to treat patients with complicated prescriptions and those found unsuitable for Laser treatment. Recent studies on the newest additions to Visian’s phakic intraocular lenses (pIOL), V4b and V4c models have shown a significant reduction in risks. 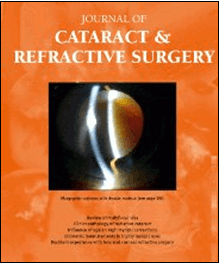 An article regarding a study conducted about the prevalence of cataracts after pIOL treatment with a comparison of older models and the V4b and V4c models was published in the Journal of Cataract and Refractive Surgery (Click here to read article). It is believed that the central peripheral contact between the pIOL and the crystalline lens could be responsible for the development of anterior sub capsular cataract formation. The V4b pIOL uses a balanced salt solution and the V4c model has a central hole to increase aqueous perfusion: both reduce the risk of cataract formation. All patients in the study underwent pre-operative examinations, treatment and results were taken at intervals throughout a 12 month period. It was found that a cataract was likely to develop in older patients with high refractive errors that were given older models of pIOLs, exhibiting a 1.37% chance of cataract development. None of the patients treated using the V4b and V4c models developed a cataract post surgery. 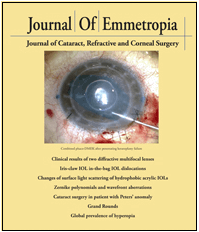 In a recent scholarly article in the Journal of Emmetropia published the results of a year-long study on the rotational stability of the V4b pIOL from corneal and refractive astigmatism vectorial decomposition were published (Click here to read article). The V4b pIOL was compared to previous models and it was found that there was no significant rotation or axis misalignment with any of the V4b pIOL implants and that there were no cases of a second procedure being needed for repositioning, thus increasing the effectiveness of ICL treatment. It can be seen that advancements in lenses are leading the way to significantly reducing any potential risks that can occur with ICL treatment. AVC provides the safest and most advanced techniques, housing the most advanced non-laser theatre in the country, and with no affiliation to lens manufacturers we are able to provide patients with the best lenses suited to their needs and achieve the best results. If you would like to find out more about the latest advances in lenses for ICL treatment and how they can completely change your life, then why not call AVC TODAY on 0800 652 4878 and request your free information pack or book your consultation to find out how we can help you.